For the first time in its short history, Bandai Namco Entertainment’s official Tekken 7 world championship is set to be held outside of Japan. The Tekken World Finals, scheduled for November 12, will invite 16 of the world’s fiercest competitors to San Francisco to compete for a $50,000 prize pool. The Tekken World Tour has allowed players from across the world to earn ranking points towards qualifying for the main event. Five competitors from each region—the Americas, Europe, and Asia-Pacific—will join Evo 2017 champion Hyun-jin “JDCR” Kim in California next month, bringing a close to the global circuit that began in June. Bandai Namco’s venue shift apparently comes as a sign of respect to the devotion of the North American community. 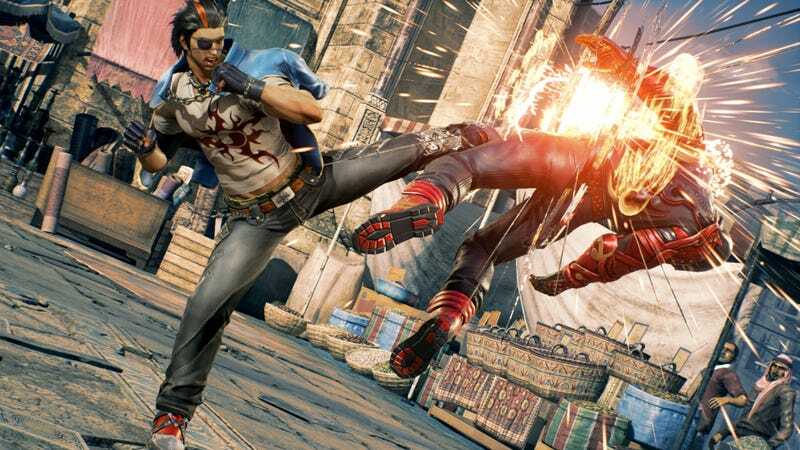 Despite Tekken 7’s two-year arcade exclusivity in Japan, western players have quickly caught up after the June 2017 console release and show up in droves to compete. At this year’s Evo, the largest and arguably most important fighting game tournament of the year, Tekken 7 saw 1,286 players participate in its open bracket, making it the biggest game not called Street Fighter or Super Smash Bros. at the event. While eyes will be on the highly-skilled South Korean and Japanese competitors—Kim, Jin-woo “SAINT” Choi, and Daichi “Nobi” Nakayama chief among them—to take home the gold, the American qualifiers definitely have what it takes to put up a fight. Hoa “Anakin” Luu, the highest-placing western player at Evo 2017, can never be counted out thanks to his proficient use of the hard-hitting JACK-7, and his former protégé Stephen “Speedkicks” Stafford is on an upward trajectory and primed for a win against the Asian gatekeepers. That said, with official events in France, Taiwan, Singapore, and the United States still to come, qualifying spots are still very much in the air. For more information on the Tekken World Tour and information on how to purchase tickets to the finals, be sure to check out the official website.